On your way to Ambleside, you’ll pass Borran’s Park near Waterhead, the perfect spot for a summer’s picnic. Walking across Borran’s Park you can find Galava, Ambleside’s Roman Fort. It dates back to the 2nd Century and was built during the reign of Hadrian. The Roman garrison numbered about 500 men and supported a sizeable civilian settlement outside the fort. The fort was in use for about 150 years before being abandoned sometime before AD 400. Continue along the main road into the village and explore the alleyways of shops and cafes. 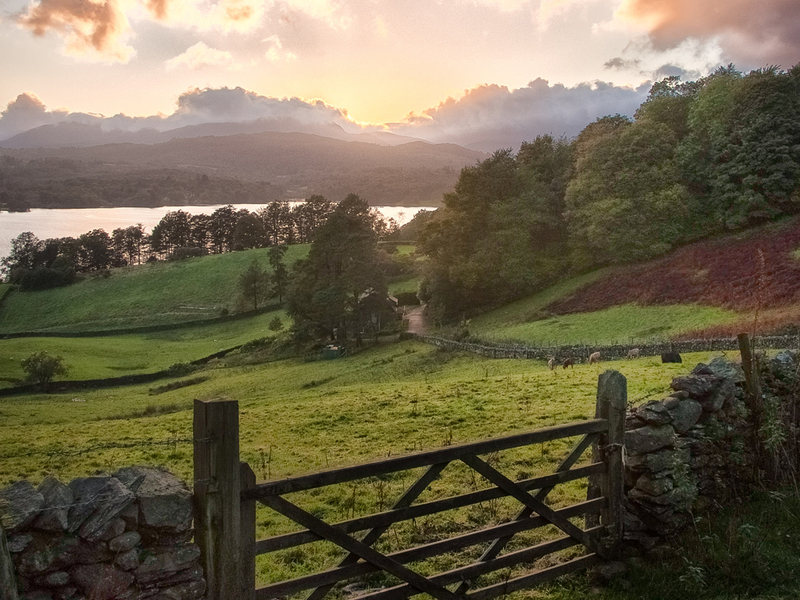 The Armitt Museum is a museum, library and art gallery that explores the history of Ambleside and its surroundings from Roman times to the present day. There are exquisite watercolours of fungi by Beatrix Potter, historic photographs of old Ambleside, and paintings and collages by German artist Kurt Schwitters (who settled in Ambleside after fleeing Nazi persecution). It is open from 10am until 5pm. For a fantastic photo opportunities, take a short walk (10 minutes) from the village to the beautiful waterfalls called Stockghyll Force. Continue along the main road until you reach Barclays Bank on your right. The road just before the bank bends behind the building to the left and uphill, signposted ‘To the Waterfalls’. The path is well signposted to make the route a circular walk and can be extended to take up to 1.5 hours; depending on how many times you stop to take photographs! 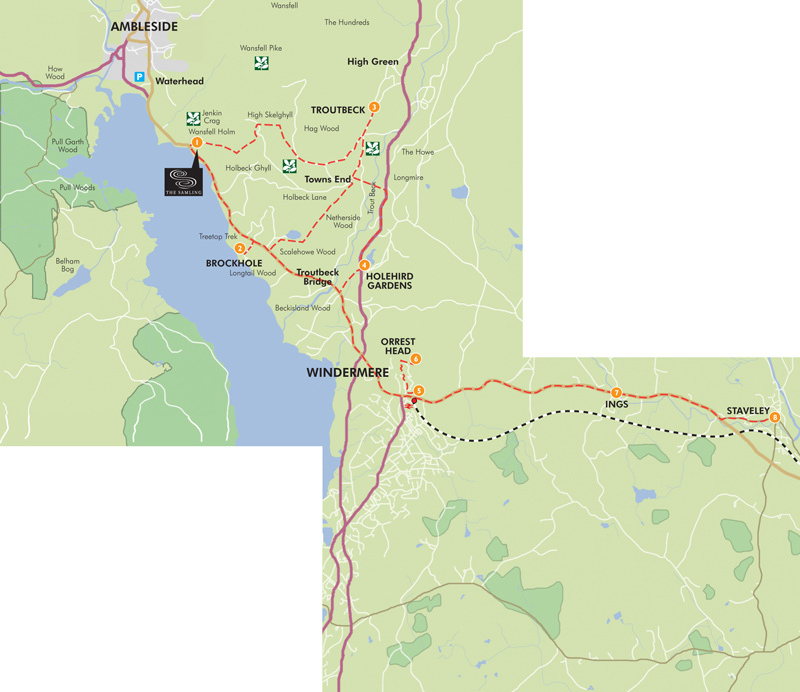 For a full day adventure walk the Coffin Trail from Ambleside to Grasmere (4 miles, 4 hours walking then drive back to The Samling. The Coffin Trail takes in a whole variety of viewpoints through the landscape that was an inspiration for the famous poet William Wordsworth. The trail passes two of his former homes, Rydal Mount and Dove Cottage, both open to the public. Rydal Mount is open Monday to Sunday 9:30am until 5pm March to November, and Wednesday to Sunday 11am until 4pm November, December and February (closed January). Dove Cottage is open Monday to Sunday 9:30am until 5pm March to November, and 9:30am until 4pm.